Making sales is the ultimate goal for an online store. However, making a BIGGER sale should be a main focal point for your business. 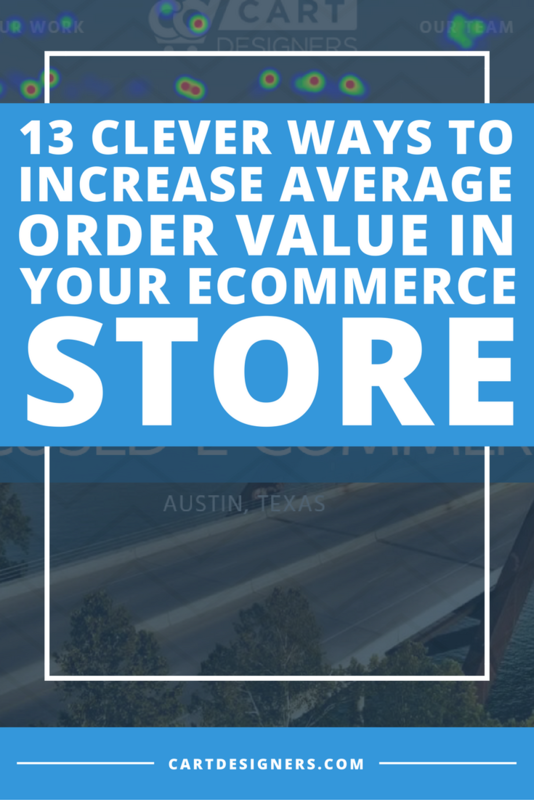 There are plenty of ways to increase average order value in your ecommerce store. Here’s several ideas to help you get more revenue opportunities from every sale. Product Recommendations – Include relevant accessories and cross sell other related items. Also, promote certain items that others have coupled with this purchase, such as people who bought X also bought Y. If it runs on batteries, don’t forget to cross sell those too. Anything that goes with something else can and should be considered. Order Minimum Incentives – Use offers such as free shipping or a free gift with any order over $50. This can be scaled based upon larger order sizes too, if you choose. Loyalty Programs/Cash Back – Using loyalty points or cards is a great tool for customer retention. Also, cash back promotions work too. There’s a reason why credit card companies use this tactic so frequently. Bundling Offers – Offer a bundle of items, while showing the percentage of money they saved as opposed to buying each item separately. Offer Time Limited – Promotions like a “2 Days only sale” or “offer valid through Friday only” implies urgency, which often triggers a buying impulse. Upsell – Like that car? Here’s a Bigger and Better car by the same company! An expressed interest is an invitation to fish for a bigger sale. Just don’t be overwhelming with your suggestions. Charitable Donations – It’s a proven fact that people generally spend more if it’s clearly defined that they’re helping someone. Make sure there is no mystery as to where their donation goes, or how much of their money is going to any particular charity. Bulk Savings Display – Promote buying in bulk by saving money for each additional item purchased. For example, buy one more, save 10%, buy 3 more, save 20%. Personalize – Data metrics can be used to determine learned user behavior. Information such as previous order history, gender, location, device used, and browser can all be parlayed into tailored offers made to real time shoppers. This is a major component of growth driven design for building a website structured around user data and personas. “Recently Viewed” Browsing History – These recently viewed product displays can help with making decisions from shoppers that are unsure about what items to place in their cart. Best Sellers/Trending Products – Offering popular items (determined by number of views or sales, for example) is a great way to add to the cart value. This can also incorporate certain data points such as previous browsing history. Financing for High Ticket Items – Imagine buying a car or house up front without financing. It’s the same idea with bigger ticket items that might not be immediately affordable, but could be purchased through financing offers. This is a great way to increase sales, since all of the money is not required at the point of sale. Using these ideas should help immensely to increase average order value in your ecommerce store. Tailoring your online store through expert design and implementation is an excellent way to incorporate these ideas immediately upon launch of a new or upgraded ecommerce website. To learn about what not to do, check out 13 Costly Mistakes That Reduce Ecommerce Conversions and make sure you don’t repeat someone else’s mistakes.